Who benefits by predicting your behavior? Organizations do—companies, governments, hospitals, and political campaigns. They employ predictive analytics, technology that learns from data to render per-person predictions, one individual at a time. People have been struck by the final words in the title of my new book on this subject, Predictive Analytics: The Power to Predict Who Will Click, Buy, Lie, or Die. Joking aside, this exercise in enumerating verbs serves to demonstrate just how wide a variety of human actions and behavior can be predicted, such as whether an individual will buy, steal, drop out of school, quit his or her job, donate, crash his or her car, or vote. Prediction is possible when we have at our disposal pertinent data that records such behavior. And we do! In case you haven’t noticed, there’s a well-publicized flood of data. Data is a recording of history, of things that have happened and actions people have taken. We aren’t drowning in data, we’re drowning in experience from which to learn. Predictive analytics is the technology that leverages data to generate predictions of such human behavior on the individual level, one person at a time. Its capacity to do so reflects the power intrinsic to the data from which it learns. And the value attained by so doing relies on organizations making active use of such predictions, employing them to drive per-person operational decisions, one individual at a time. Lying and dying are pertinent examples. Law enforcement is improving lie detection with predictive analytics methods. As with medical diagnosis or assessing the risk of an applicant for insurance coverage, predictive analytics augments established methodology to improve—by way of machine learning methods—the ability to assess the risk that an individual is lying based on the collection of known characteristics about that individual. For example, University at Buffalo researchers trained a system to detect lies with 82 percent accuracy by observing eye movements alone. In another project, researchers predict deception with 76 percent accuracy within written statements by persons of interest in military base criminal investigations. With all the human behavior being predicted, how about the final thing each of us do: die? In fact, there are five reasons organizations may predict your death. Sometimes they do it with altruistic intent, for healthcare-related purposes. In other cases, there’s a financial incentive—they predict death for the money. Healthcare providers predict death to help prevent it. For example, Riskprediction.org.uk predicts your risk of death in surgery, based on aspects of you and your condition, in order to help inform medical decisions. Law enforcement and military predict kill victims in order to protect, and safety institutes predict system failure casualties to help avert them. Life insurance prices policies according to predicted life expectancy. A growing number of life insurance companies go beyond conventional actuarial tables and employ predictive analytics to establish mortality risk. Beyond life insurance, it turns out health insurance companies also predict death—of policyholders. Until recently, death prediction has not been within the usual domain for health insurance. 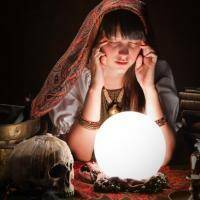 I got the inside scoop, anonymously, from a top-five U.S. health insurance company—but I’ll reserve the details for my book (Predictive Analytics), or see more details in my Smart Blogs article, Deathwatch: Five Reasons Organizations Predict When You Will Die.